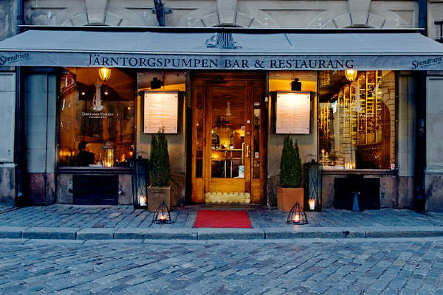 Nestled in the heart of this small Gamla Stan square, Järntorgspumpen is sure to be full of tourists and locals who come for food, drinks, and to make use of their cozy terrace. The lunch menu is hearty and changes on a daily bases; their dinner menu stays the same each day but certainly has something to appeal to everyone's appetites. After a long day of sight-seeing, it's the perfect place to stop in for a refreshing drink and watch the hustle of Gamla Stan. See www.jarntorgspumpen.net for more information.